Kettlebells are iron or steel balls with a flattened bottom on one end and a curved handle on the other. 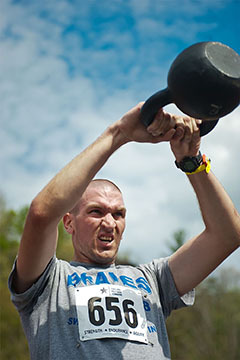 Kettlebells are used both for general fitness training and competitive sport. They improve whole-body, dynamic movement for strength, endurance and power. They are used by sports teams, those who train at home, world-class athletes and folks who want to burn fat and build muscle. They are a room-efficient gym you can take anywhere and use anywhere. By varying the weights used, you can use the same movement for cardio, strength-endurance, speed or power. You can do swings, presses, pulls, squatting-type movements and dynamic work. Because kettlebell movements involve the whole body, you work upper and lower body strength concurrently and time effectively. 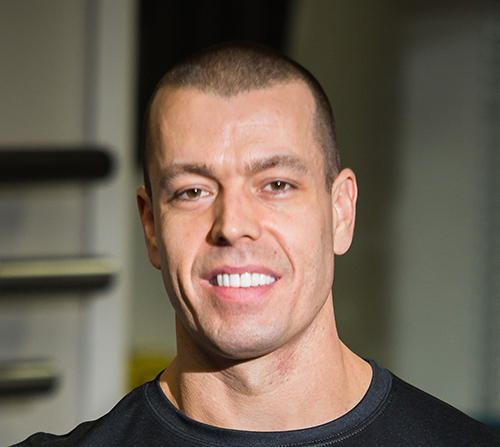 The best start for any kettlebell user is to begin with finding a skilled and experience coach. proper grip/wrist alignment with the bell. Kettlebells are a fabulous and often-overlooked tool for strength training and general fitness improvements. The mileage one can get from a single kettlebell is hard to match with any other training tool. As the kettlebell’s signature movements are dynamic, they blend the benefits of multiple joint strength lifts with power and endurance work. Kettlebell work also helps develop forearm, hand and finger strength because of numerous options for grip, and various weights dynamically challenging the grip repeatedly and at high speeds. A single kettlebell workout can include a great variety of pushes, pulls and power movements. Because of the options of varying weight and sets, kettlebells offer fat-burning alternatives to bikes or treadmills. Kettlebells engage the whole body with a single tool that is small, portable and affordable for home use. Whether looking for conditioning, fat-burning, raw strength or power, it’s worth looking into kettlebell training.